The International Day of Women and Girls in Science is next Sunday, 11th of February. Some RES centres participate in different initiatives to recognize the role of women and girls in science and technology, as well as to promote gender equality in the scientific world. - The Instituto de Física de Cantabria (IFCA), which hosts the Altamira supercomputer, organizes a comic contest. 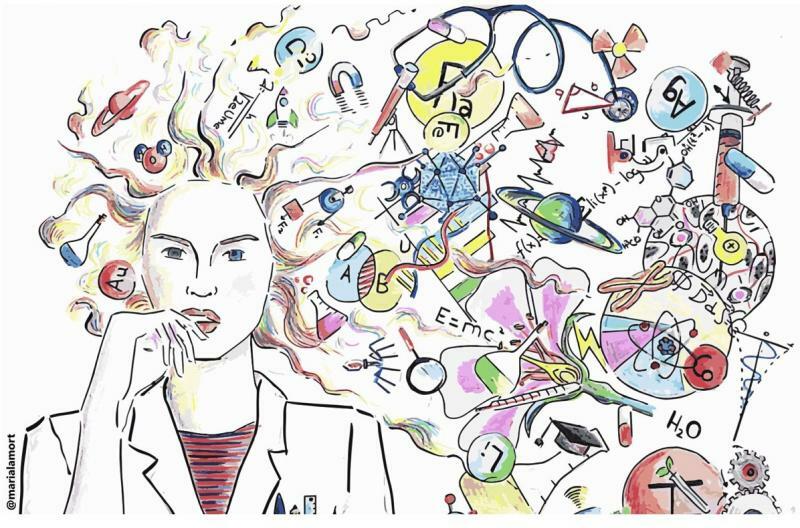 Participants can send a comic about a women scientist, the relationship of women or girls with science, as well as any adventure, anecdote or testimony related to this topic. The deadline to participate is February 1, and the prize is a VIP tour around IFCA facilities and laboratories. - The Centro de Supercomputación y Bioinnovación de la Universidad de Málaga (SCBI-UMA), which hosts the Picasso supercomputer, will organize talks in five schools given by women researchers and technicians and addressed to teenagers. These talks will be entitled “Biomedicine and Computing: the era of Big Data in genomics”. - The Universidad Autónoma de Madrid, which hosts the Cibeles supercomputer, will organize an event to highlight the social value of women and girls in science. It will be held on February 15 and will include the participation of different women scientists with a recognized research career. In addition, the research institutes of Física Teórica and Física de la Materia Condensada will organize a colloquium on February 19 with the participation of several distinguished women scientist.